David Lynch always returns to important influences in his art, as evidenced by the childhood memories found in the text and imagery of his paintings, the obsessive focus on stark contrasts of light and shadow in his photography and cinema, and a deep reservoir of knowledge of the space in which he works. As a director, for which he is arguably most known (although he is a musician, writer, painter, photographer, and more), Lynch creates what appears to be a complete vision that incorporates references as disparate as jazz (think, Fats Waller in 1977’s Eraserhead), Transcendental Meditation (Dale Cooper in the first season of Twin Peaks), and unexpected and extreme violence. 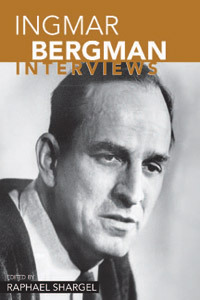 He mixes many iconic but superficial images of the American Dream (Blue Velvet’s white picket fences, the cherry pies of Twin Peaks, and the factories associated with progress and drive and American innovation of another era) with actual dreaming, including a large dose of dream logic included in all of his narratives. Note: Although Twin Peaks: The Return is essentially two creative artists in David Lynch and Mark Frost, I often refer to the elements discussed as originating with Lynch. This decision is made due to the repetitive occurrences of these elements in Lynch’s other work. This phrase is repeated in The Return (2017) by Al Strobel as Mike. Lynch brings beacons associated with the cultural consciousness into every work he creates. Two of the most often referenced are The Wizard of Oz (1939) and Sunset Boulevard (1950), which bookend the violence of WWII and the atomic bomb. Anyone who watched or heard anything about the newest season of Twin Peaks recognizes the influence of this example of extreme violence in Lynch’s work. Wild at Heart (1990) is a kind of fractured homage to The Wizard of Oz, and characters embody the attributes associated with the original. Echoes of Sunset Boulevard are found throughout his Mulholland Drive (2001). These cinematic obsessions are connected. Both deal with time and the loss of it. In Sunset, the main character is no longer a screen icon. She watches as time moves on without her. To console herself, she weaves a dream narrative of her own identity. In Oz, the character has lost time completely. Dorothy is transported to another world that operates with a completely different set of rules. When she eventually gets back home, she tells her family that they were all there in the dream world with her. Time moves but is also stuck. In the world of Oz, Dorothy is trapped for days. In our reality, she is just out cold for a short while. The character and actor names of both films are used for much of the cast of Twin Peaks. Norma Desmond, the name of the aging actress of Sunset, can be found in Norma of the Double R and Agent Desmond of Fire Walk With Me (1992). The name of Dorothy Gale’s actress, Judy Garland, can be found in the Judy associated with evil and Major Garland Briggs. Even the name of Lynch’s own agent, Gordon Cole, was revealed to have been pulled from a line in Sunset Boulevard from this newest season of Twin Peaks. Both The Wizard of Oz (1939) and Twin Peaks: The Return (2017) begin in muted sepia or B&W. Twin Peaks: The Return contains many allusions to The Wizard throughout, including the red shoes we have come to associate with Audrey being worn by many female characters, including minor players such as the waitress at Judy’s in episode 18. There is the fact that both The Wizard and Twin Peaks: The Return both begin in muted tones of sepia or B&W. This, in the 1939 film, indicates the reality that often lacks the color of our imagination. In Twin Peaks, it may indicate something similar. That means one would need to decide whether the series is taking place in a dream (as Gordon Cole would plainly express later in the series) once we see the world washed in color or if it’s taking place in reality. Maybe it’s both. If there is one thing I have gleaned from watching Twin Peaks and the rest of his work, I don’t believe David Lynch has the ability to compartmentalize. Even if he does have this ability, he does not use it. Anything is possible, and connections are everywhere. Time and memory are important considerations when viewing any of Lynch’s work, but I found them vital with The Return. Dale Cooper listens closely to a small sound, maybe a scraping or clicking sound. This sound is repeated in the very last scene of the series, when Cooper and Laura Palmer (or Carrie Page) are at what we thought was the Palmer residence. Perhaps these scenes take place at the same point in time, separated only in our perception of the events. Perhaps it is just a foreshadowing of what will come. Either way, the past and future are completely intertwined. Allusions to the first “version” of Twin Peaks show up in every aspect of the new series. The new characters are often distorted reflections of former characters, street names in new cities reflect important characteristics of the Twin Peaks of Seasons 1 and 2, and much of the dialogue feels out of time. The whole series is constructed in a way that that makes linear narrative hard to discern. But, it works. It moves through repetition or echo of imagery and dialogue. Sometimes there is no action, only sound, in a frame for long stretches of time (like at the Palmer residence, where the camera stays in the living room, but the audience clearly hears some disruption off screen/out of frame). This is jarring and uncomfortable, and the director knows this. We are supposed to feel like we are losing something, like we are entering an uncertain narrative. There is a deep sense of mystery because, as the Fireman states at the start, “it all cannot be said aloud now.” It also cannot be shown completely. The clues come in backwards speaking and hosts of visual signs. The recurring “seed” or “birth” symbols come in the forms of tiny gold spheres and larger egg-like atomic bombs. Mostly, there is no rationale or narrative conclusion for why these occur…but the mid-season episode that was just the actual dropping of an atomic bomb and the birth of evil was completely unexpected. The journey back to Twin Peaks for Cooper, and later for Laura, is an impossible one. Like Homer’s Odyssey (by the way, Odessa is the feminine for Odysseus), the return home will not be easy. There are challenges. When they return, are they really the same? Odysseus wasn’t recognized by Penelope upon return, and Laura/Carrie is only recognized by Agent Cooper. The Man from Another Place (AKA The Arm) has explained (at the end of Season 2 of the original run) that the next time we see him, it won’t be him. Not only is that true for The Arm, which came back as a tree with an amorphous head…but, all characters have changed. The new residents of the Palmer home, Alice Tremond, we have seen before. In another form, she was a resident (with her grandson) at the trailer park and the apartments in the original run of the show. She has been called “Chalfont,” but both identities have been references to the same person. The uncertainty of reality and dream, the unreliable “main characters,” and the non-linear narrative make this run of the series hard to navigate. Why make art? Why write or photograph or paint anything?